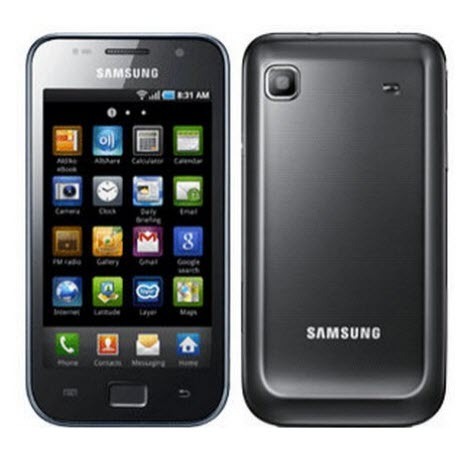 In due course of this article we will guide you on how to install the latest version of Codename Android 3.5.0 firmware in Samsung Galaxy SL GT I9003. This firmware is based on Jellybean 4.1.1 firmware. As of now Samsung has no idea to come up with this latest firmware; the custom ROM firmware makers come up with various custom ROMs which have optimized the jellybean 4.1.1 firmware to align itself with the Galaxy SL GT I9003 device. CAUTION : Please make a note that this firmware version and guide which we have given below is compatible only for I9003 model and not with I9000 model so, don’t try to apply this firmware in I9000 model if you do so it may cause damage to your device and we won’t be held responsible or liable for that. Before start to apply this update we strongly recommend you to take backup of all the data (i.e SMS, MMS, Call logs, APNs etc) present in your phone. Just in case; if your data might corrupted or erased due to any reasons you can easily recover them with the help of backup. But don’t use KIES to backup the data since it doesn’t detect your device in the Custom ROM firmware. Once you have created a backup of the data, move all the backup files in your computer so that they are safe. Make sure that you have left battery level of atleast 60% or else there is a risk of your device getting turned OFF in the middle of firmware update. Enable USB Debugging mode in your device, by following the path – “Settings > Applications > Development > USB debugging”. After that disable all the antivirus applications installed in your device, because this may interrupt the process of firmware update. Finally, check whether your device is rooted or not with the help of “Root Checker” app. Because this firmware is applied only to the rooted devices. You can download the Root Checker app from the Google Play Store. Once, the device is rooted then again download the “ROM Manager” app too from the Google Play Store. So, once you confirmed you have done all the above mentioned instructions, then you can switch over to the next steps which we have given below on how to apply this firmware update in Galaxy SL I9003 device. 1. First download the Codename Android 3.5.0 Firmware package and Google Apps from here to your computer. 2. Once downloaded, connect your phone to computer and place these two zip files in your device. Ensure that you are not placing these files into the sub folders. 3. After that, disconnect the device and turn off the same so that it can be entered in the recovery mode. For that you need to press and hold the Volume Up + Home buttons together, and then press the Power button till you see the Green Android Robot along with the Recovery mode options list. If the device boots up in the normal mode, retry the process. 4. Once you entered into the recovery mode, wipe the data/factory reset, cache, dalvik. Then install “Codename Android 3.5.0 Firmware package” and do not restart then install the “Google Apps” package. 5. Once it’s selected it will take few more minutes for applying the same. Once you see that the firmware has been applied successfully, select “go back” & “reboot system now” for rebooting the device in the normal mode. 6. If you want to check whether the firmware has been applied or not, simply go to the path “Settings > About Phone” which will show that the firmware has been applied successfully. NOTE : In very rare cases, the Samsung Galaxy SL I9003 refuses to turn ON and gets stuck on the Motorola logo if you too face the same problem then you need to long press the power button to turn off the same or re insert the battery to start the process from the start. Now that’s it there you go, you have now successfully installed the latest version of Codename Android 3.5.0 firmware in your Samsung Galaxy SL I9003 device. If you face any problem then do share the same in the comments section we will try to rectify that. I like the rom and installed it but google play , mx player and some other apps are not working also my wifi signals are poor and bluetooth starts only on reboot.